319.00 EUR max. 1 Pers. 485.00 EUR max. 3 Pers. 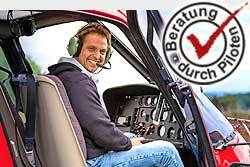 Fly over Karlsruhe Baden-Baden in flight radius of 20 minutes and experience the local attractions of your choice. The route is dependent on the weather and of course aviation safety, otherwise the pilot attempts to fulfill your wishes in compliance with the flight time. The flight time is 20 minutes.